January is seriously the most depressing month (minus the fact that it’s my birthday month). The holidays are over and it’s back to reality and routine, which isn’t always exciting. But one thing I do look forward to at the start of a new year is the opportunity to set goals and have a fresh, clean slate. 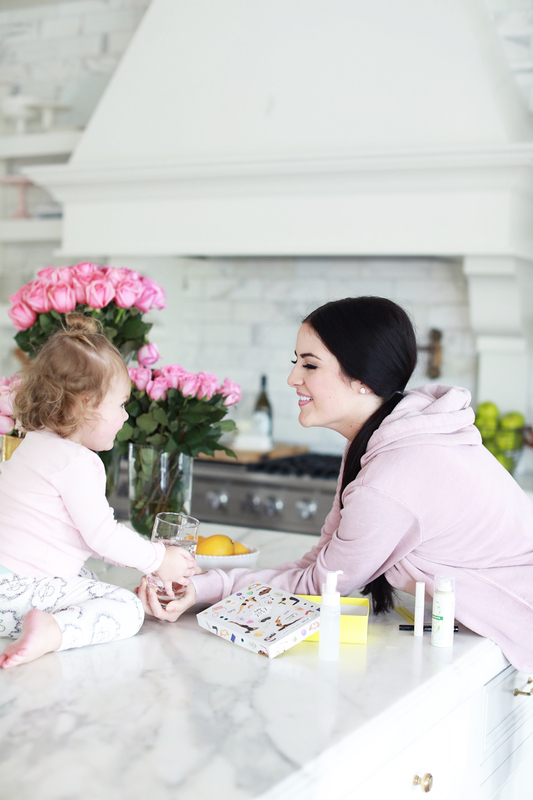 Today I’m excited to be partnering with Birchbox to launch their second week of Beauty Resolutions by sharing how I’m revamping my routine to help my days run a little smoother! One of my biggest goals for 2017 is to drink more water and stay hydrated, especially since I’m nursing Jackson. For all you mama’s who have nursed you know how crucial it is to stay hydrated for your supply! I’ve been starting the day with a big glass of lemon water and am trying to drink as much as water as possible throughout the day! 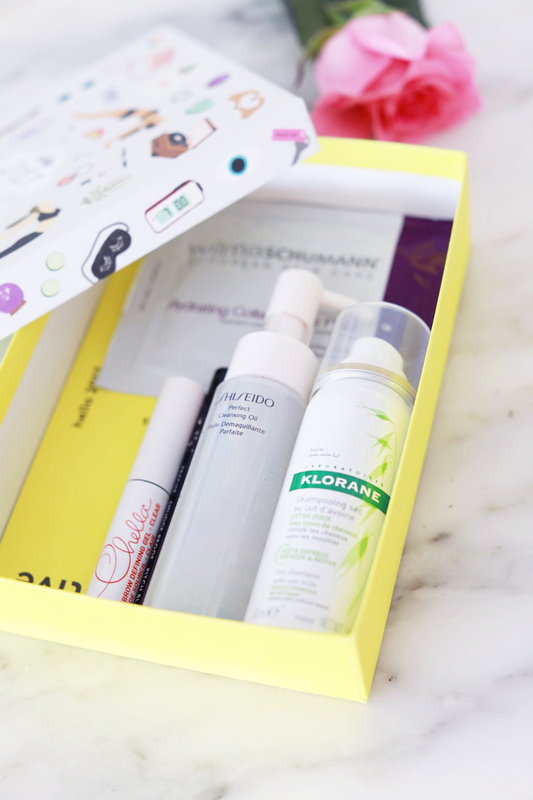 Have you guys tried Birchbox before? I love it because it’s a fun and easy way to test out new beauty products before taking the plunge and actually buying them. 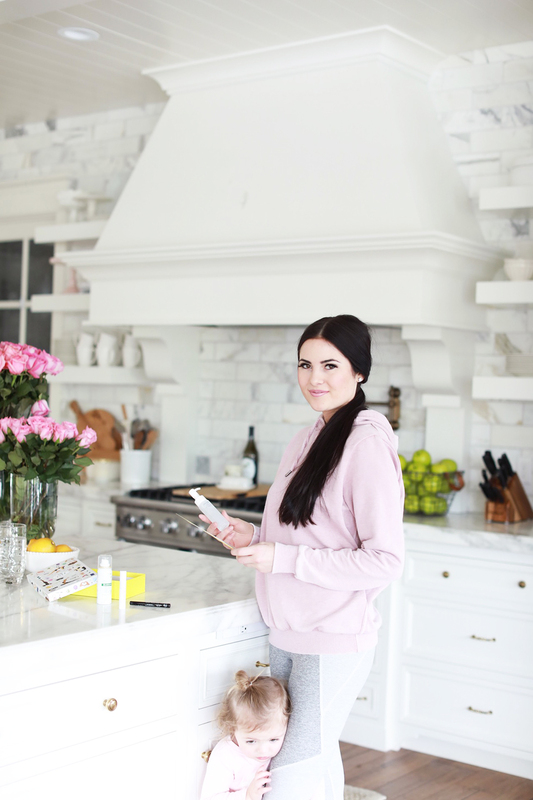 Before starting my blog I feel like I was set in my routine and only used the products that I had grown up using, I hardly ever would branch out and give something new a try, and I never really knew what I was missing out on until I started blogging. Since blogging I’ve had to opportunity to try so many new and different products from beauty, hair and skin care brands and so many of those surprise products I received in the mail have now become staples in my beauty cabinet and I wonder how I ever went without them. So…the reason why I’m excited to tell you about Birchbox is because I think it’s an amazing way to branch out and find fun, new products you probably would have never found otherwise. Every month for just $10 Birchbox will send you a box full of goodies and samples to try and based on your beauty profile, they will personalize your boxes so they fits your wants and needs! Also if you love the samples, they provide all the information about what the product is and how to use it. 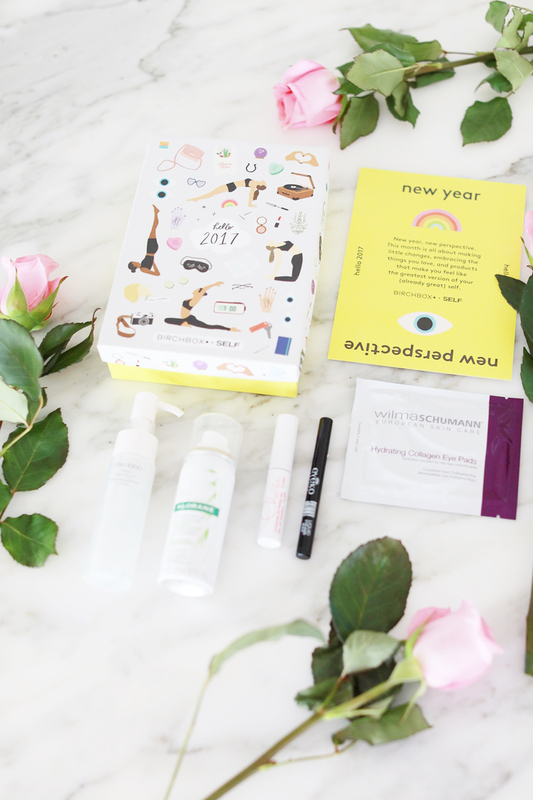 I just opened my January box and can’t wait to use all these products (especially the cleansing oil), plus how cute is this box?! (Isla made off with it after we were done shooting these photos ;). Ok now for Giveaway time…. If you’re thinking of ways to revamp your fashion, beauty or home routine be sure to enter this amazing giveaway!!! Prize include a 1 year subscription to Le Tote plus $250 shop credit, the full line from Birchbox’s in-house beauty brand ARROW, and $500 to Crane & Canopy. 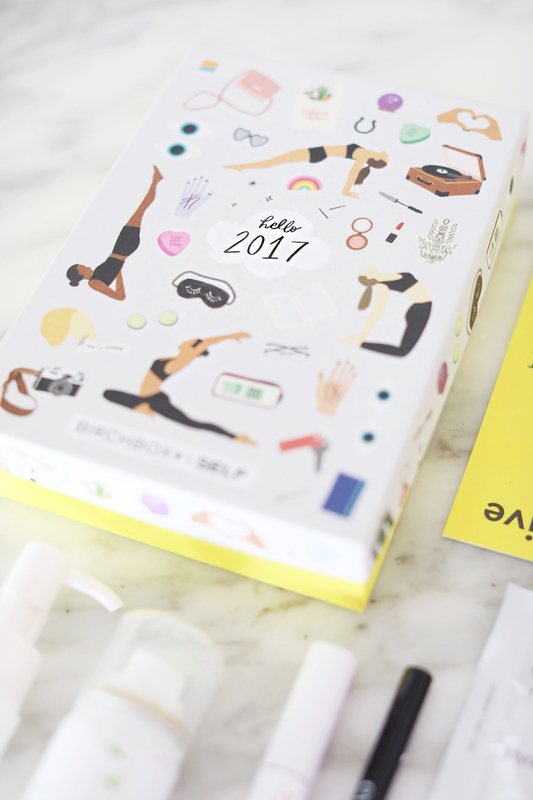 Learn more about how Birchbox is doing resolutions and enter the giveaway HERE! I’d love to hear what you’re doing to revamp your routine this year! Brought to you by Birchbox. Birchbox seems amazing! I love to try new products and I’m always looking for new stuff. I’m glad everyone loves Dasher boy because he doesn’t really understand how to stay out of the way! He jumps on me more than Isla! I love Birchbox! I feel like they have really revamped lately and gotten so much better than before. I also love your athleisure! Very cute. Thank you, Mollie! You are so sweet! I obviously love it too, how can you not!! Birch box is the best! I need to sign up for a birch box – you are so right, it is a great way to discover new products! Oh!! Love this idea and great way to revamp :-) preggo right now so it’s kinda hard to do anything major like start a new diet/workout routine or even invest in some new fun clothes…but this could definitely work! Congrats!! Yes, give it a try! Comes right to your door and you just get to enjoy! And you seriously can’t beat the price! Awesome post! The new year is always a great time to start fresh! 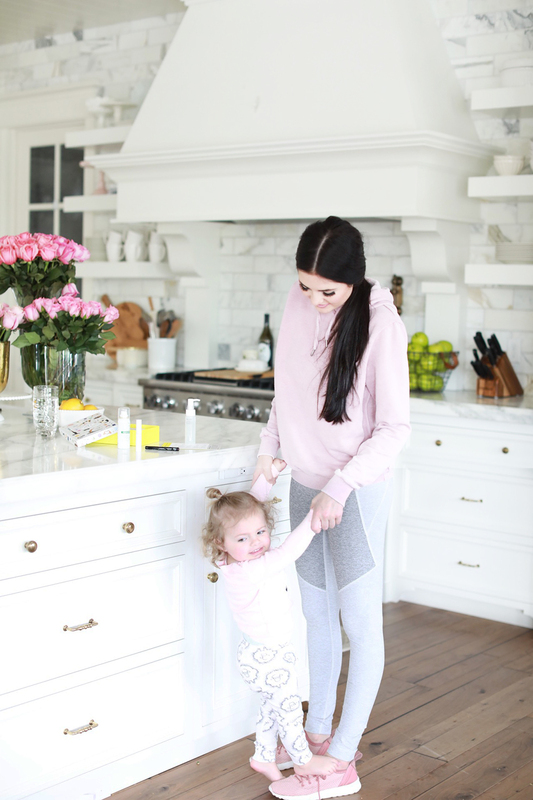 First, love seeing your kitchen! So beautiful! Second, I haven’t tried Birchbox yet personally, but my mom did and it was great! I use to stick to the same things all the time but as I’ve become older, I started trying lots of samples and found some really great products! $10 a month is a great price to try a few things! Thank you!! And yes, I agree! It seemed a little odd at first, but then I thought, I love trying new products!! And you seriously can’t beat that price!! Doing whole30 this month (so hard!) and working out more than I was before! My resolution is also to drink more water. I’m pretty good about it during the work week, but definitely slack off on the weekends! I’ve used Birchbox before, it’s always so fun to get new goodies in the mail. I have to say though – I love your cozy look! 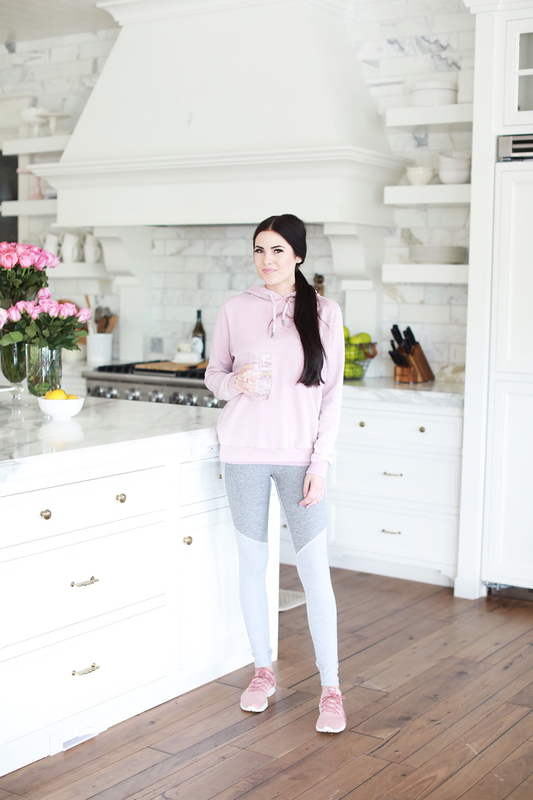 The light greys and pinks are so cute – I’m especially obsessed wth those shoes and leggings! It really is! And that way you don’t have to spend big bucks to try great products! Thank you!! I just ordered my first box, yay. Can’t wait when it arrive. Yay!! You will absolutely love it!